No wonder Bill de Blasio has become a punching bag for his Democratic primary rivals: His momentum appears to be building. This afternoon’s Quinnipiac poll shows De Blasio rising tantalizingly close to 40 percent, the magic number needed to win the September 10 Democratic primary outright, bypassing a runoff. Chris Quinn (21 percent) and Bill Thompson (20 percent) are essentially tied for second. De Blasio, says Quinnipiac, would clobber either one in a runoff. However: Nearly one third of likely voters told the pollsters there’s a “good chance” they’ll switch candidates in the next thirteen days. However Part II: De Blasio is beating Thompson 34–25 among black voters, a testament to how great a job the public advocate has done in branding himself Mr. Anti-Stop-and-Frisk, which scores with both white liberals and black voters. But there’s room for the margin to shift: The poll shows more black undecideds than white undecideds. Thompson’s strategist tweeted “internal” poll numbers showing his man tied with De Blasio, which is no doubt what the poll says, but the tweet is also an attempt to keep tomorrow’s “De Blasio pulls away” coverage from becoming self-fulfilling. However Part III: The poll was conducted before Quinn’s sweep of the daily paper endorsements had time to register with most voters. Maybe it never will. But we’re still only at the front end of a more important media assault, the TV advertising by the candidates. De Blasio’s ‘fro-tastic spots have been very effective; we’ll see if it’s too late for Quinn and Thompson to answer. However Part IV: In its last poll, Quinnipiac showed De Blasio six points higher than a subsequent Marist poll. However Part V: The poll doesn’t measure the Latino vote, which should be substantial; all of the campaigns believe it is the hardest to predict and latest-breaking. 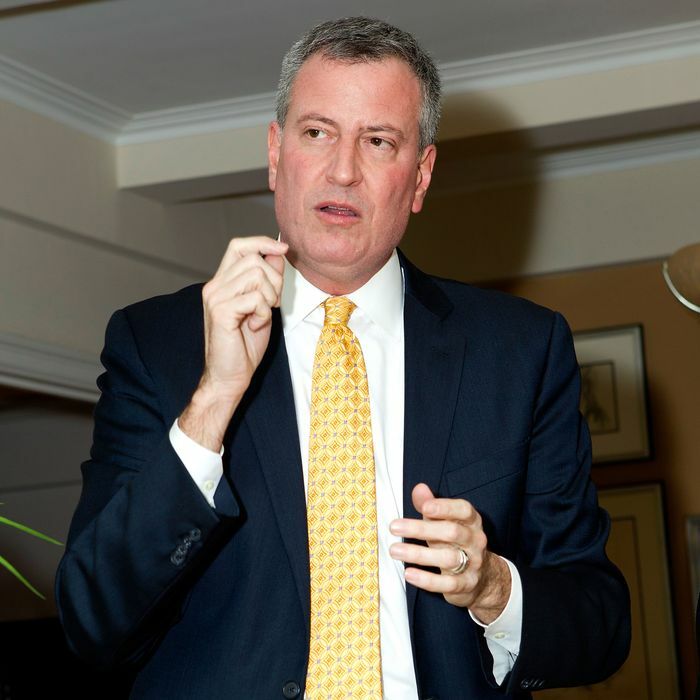 However Part VI: Mayor Bloomberg clearly thinks a Mayor De Blasio would be a disaster. Yet endorsing a De Blasio opponent in the left-leaning Democratic primary might wrap this thing up earlier than expected, because the poll validates de Blasio’s core campaign belief that after three Bloomberg terms this election is about change. No wonder, when I happened to see de Blasio this morning campaigning outside the Smith-and–Carroll Street F train stop, he flashed me a big grin and a big thumbs-up.